We can absolutely identify with putting a little faith in the stars. Do you only sign contracts or ask out your crush during certain weeks, all because the right planets are aligned? That’s totally your call. As for Zara’s just released collection, the brand seems to be hoping you look to your horoscope for a little guidance when it comes to style, as well. 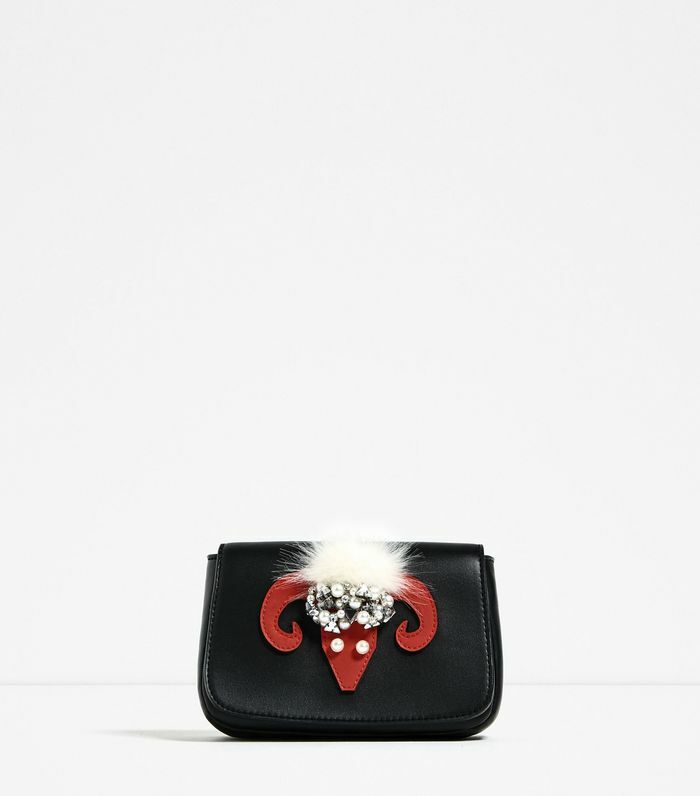 Dubbed the Horoscope Collection, Zara's new release is a 12-piece handbag line of cute, petite crossbody bags embellished with feathers, jewels, and appliqué details specific to each astrological sign. Think designs ranging from a lion with a furry red mane to a set of twins (hello, Gemini) with the same hair color. Not the biggest fan of astrology yourself? No problem. At the very least, these $40 bags make for an easy personalized gift for any one of your horoscope-obsessed friends this year. Below, see all 12 editions of Zara’s newest must-have. Do you dress according to your astrology sign? Let us know why or why not in the comments, below.